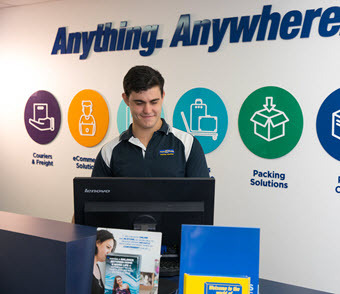 PACK & SEND Nailsworth in Adelaide, South Australia provides total courier and freight delivery services and complete packaging solutions for customers in and around Nailsworth. Contact PACK & SEND Nailsworth service centre in Nailsworth now to get a quote for all your packing and shipping needs. Very professional and very friendly service, they really care about the customer, i used their service twice shipping multiple items from Adelaide to Sydney including computer parts, monitor and other valuable items, arrived in time and delivered perfectly, thanks alot. I recently bought a bass guitar and had it packed and shipped from Adelaide to Geelong. James and Shaun were extremely helpful, they picked it up from the sellers house, packaged it and sent it off. I had a particularly difficult seller to deal with and James went above and beyond. Delivery was fast, the guitar was packed well and got to my house safe and sound. Can't ask for any more than that! Thanks guys! Loving my guitar by the way! Excellent packing, great communication. Highly recommend. Rates are reasonable when compared to other pack and send franchises. Excellent to deal with! They do what you want as far as delivery is concerned. Always has has decent service from these guys. Delivery is fast as well! Went here and they were very helpful initially and offered reasonable prices for shipping. The $800 item shipped was delivered COMPLETELY CRUSHED AND DAMAGED. We provided photographic evidence of the damaged item and we were told "too bad" and we were not entitled to any cover for this item. It cost us $800 to replace the item, along with the $200 it cost in shipping, so all out we lost $1000 using this company! DO NOT USE THIS COMPANY!